Another reason why I booked with Bangkok Airways is that they fly from Suvarnabhumi Airport. Some flights operate from Don Mueang, which about 30-40 minutes away. 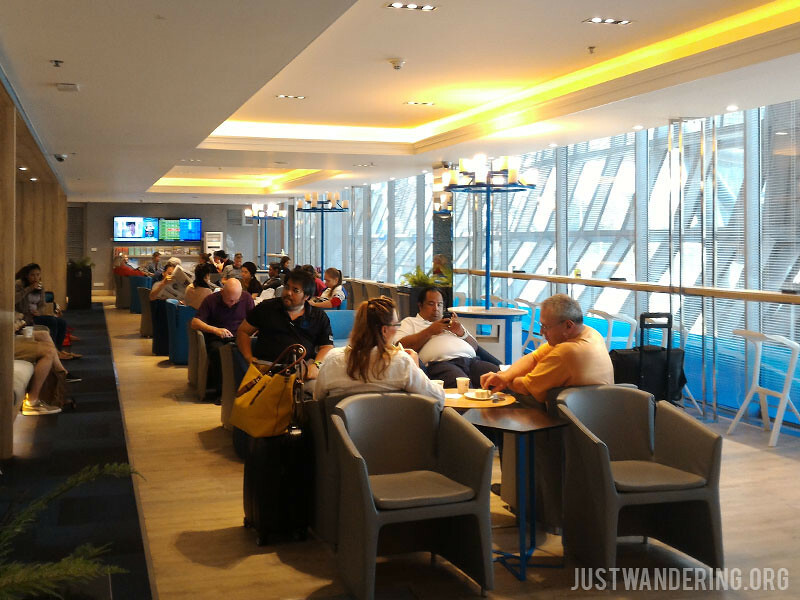 The airport is huge, but does not offer as much in the way of entertainment like Changi Airport (is it unfair to compare any airport with the magnificence that is Changi?). There are, however, plenty of places to get food. 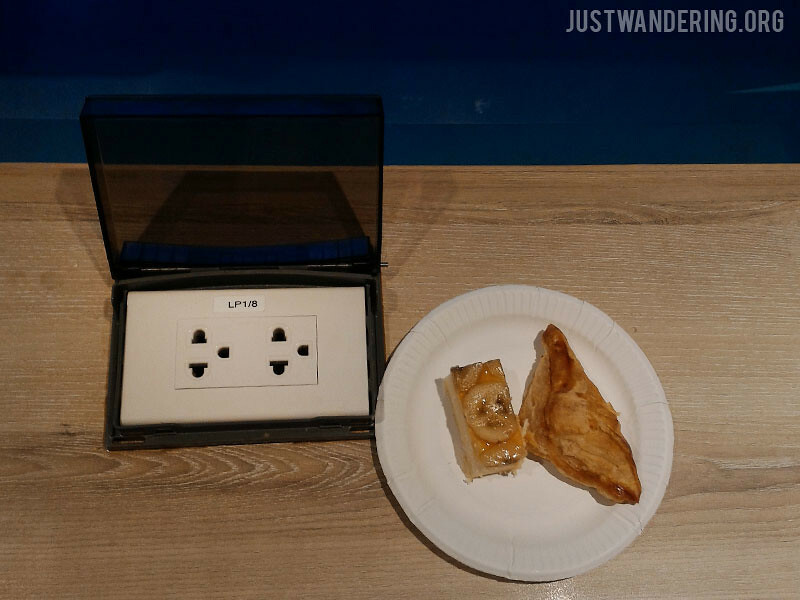 You won’t go hungry in Suvarnabhumi. While many of the food options carry that airport price tag, you can head down to the ground level where the airport employees go to eat. The Magic Wok is a small food court that serve the usual Thai food court fare. 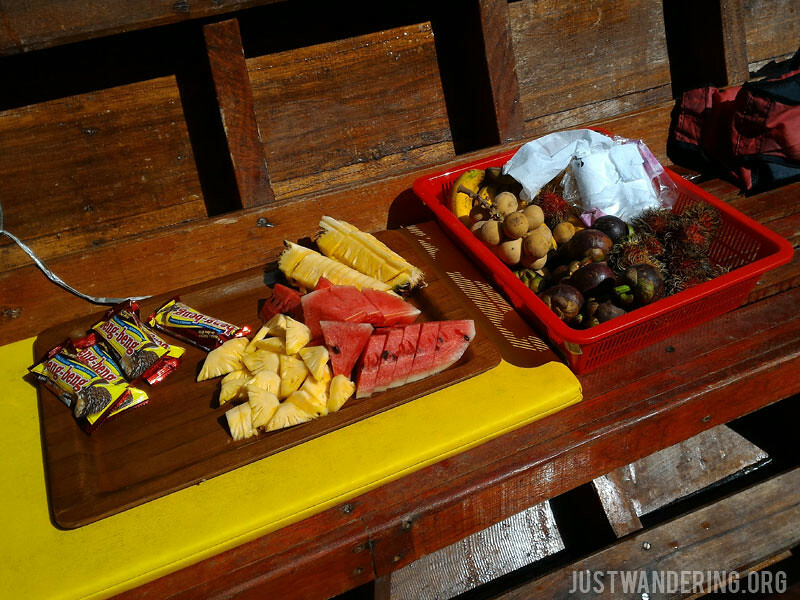 There are noodles, rice meals, drinks, and of course, fresh fruits. 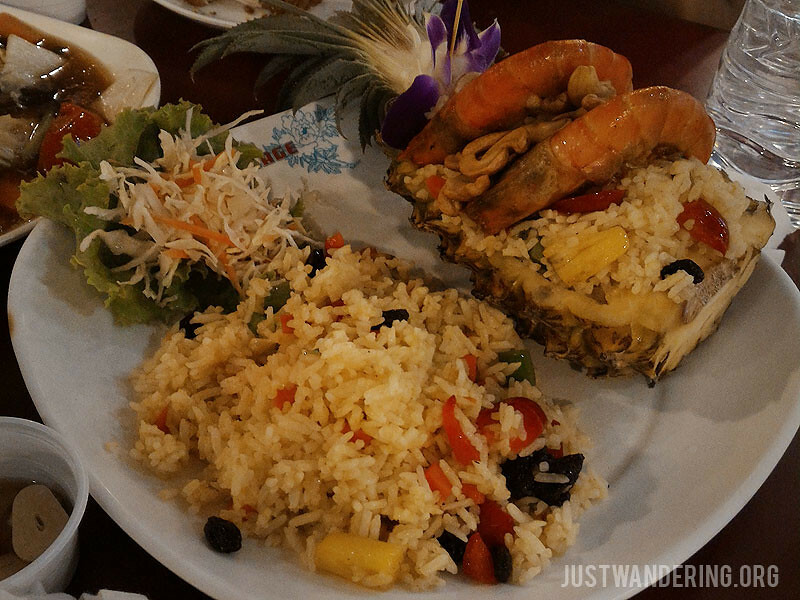 It’s not the best Thai food, nor is it the cheapest, but compared to the prices at other places in the airport, you will not be going over budget here. I have flown with Bangkok Airways back in 2009, and I was looking forward to flying with them again. I booked my ticket through their website, and I was so happy that it was so straightforward: the prices that was displayed is the same price that I paid at check out. For the Bangkok-Phuket flight, I paid THB 2,000. All passengers of Bangkok Airways can use their lounge. In the lounge, they can rest in comfortable seats, charge their gadgets, use the free wifi, enjoy some snacks, and drink coffee or tea. A full meal was served during the one-hour flight. The chicken dish was reminiscent of Afritada, but the pannacotta for dessert was divine. I still remember the yummy green curry they served on my flight to Luang Prabang in 2009. Many hotels and resorts, and even property brokers offer private villas for rent. Consider this as an option if you are traveling as a group for a relaxing holiday. 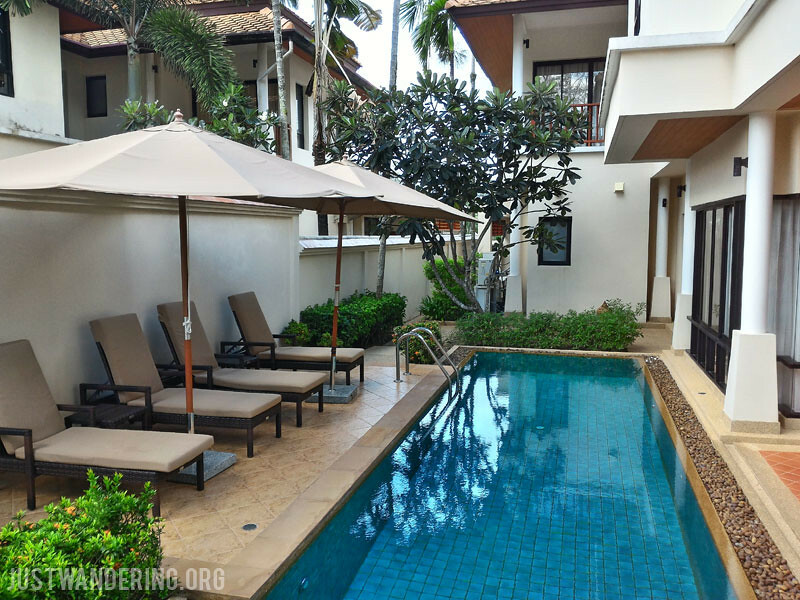 Our pool villa at Angsana Laguna Phuket was great, and we really enjoyed the peace and quiet. Patong is where everything is: the long stretch of white sand beach, the cheap accommodations, the shops, the night market. But that also mean it’s where everybody else is. 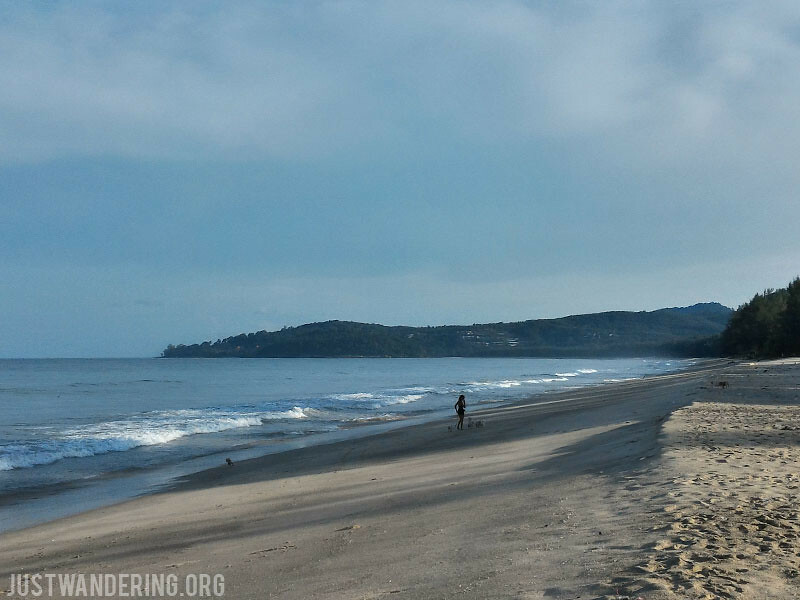 If you’re not into the party scene and the crowds, there are other beaches all around Phuket that may be more to your liking. 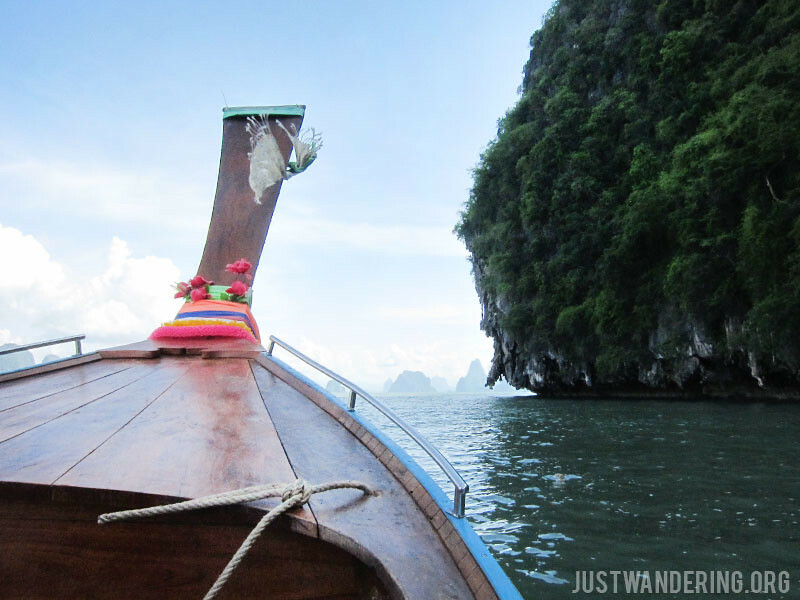 While reading about Phuket, I gathered that public transportation in the island is practically non-existent. There is the airport bus, that can greatly help your budget when getting into town, and there are also songtheaws that go from town to town, but their frequency can be unreliable. If you want to go around, you can either rent a motorbike (a popular option for backpackers), or rent a car. Taxis are also available, but they will be charging a fixed price. Our transport from and to the airport was arranged through Angsana. When we went to Patong, we booked a van through PhuketShuttle.com. I made the reservation through their website form the night before we needed the van, and they got back to me the following morning. We booked a van for five hours, and it cost us about THB 2,000 from Bang Tao to Patong, and back to Bang Tao. The service was very good. My brother dropped his wallet inside the van, and it only took a phone call to their hotline and the van was back to where we were dropped off. For the social media addicts, wifi is available in all of their vans. Because of the hot and humid weather, most markets set up shop late in the afternoon when the temperature starts going down. 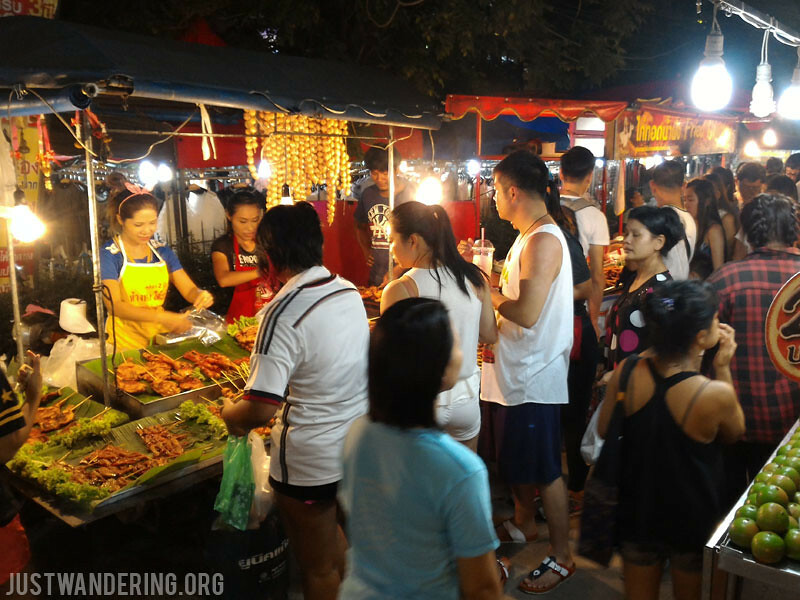 In Bang Tao, there is a nightly food market right near the turnoff heading into the Laguna Complex. They seem to take a break every Sunday though, since they weren’t there the one time we ventured out to check them out. It’s the same in Patong. Many shops selling clothes are open the whole day, but more open up when the sun goes down. 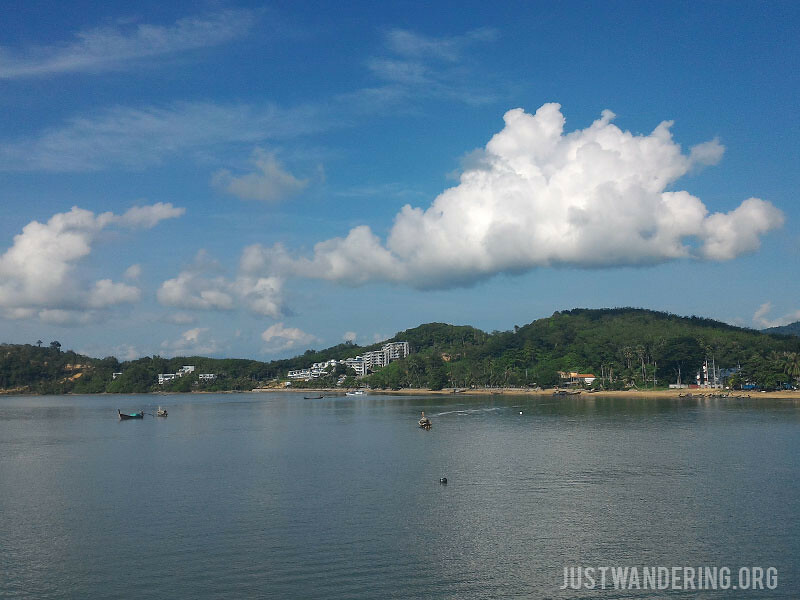 Want to get away from the crowds in Patong? Head to the very end of the beach, following the road the leads to Bang Tao. The beach is full of huge boulders, but it’s quiet. At night, street hawkers set up shop on the sidewalk, and is frequented by the locals. 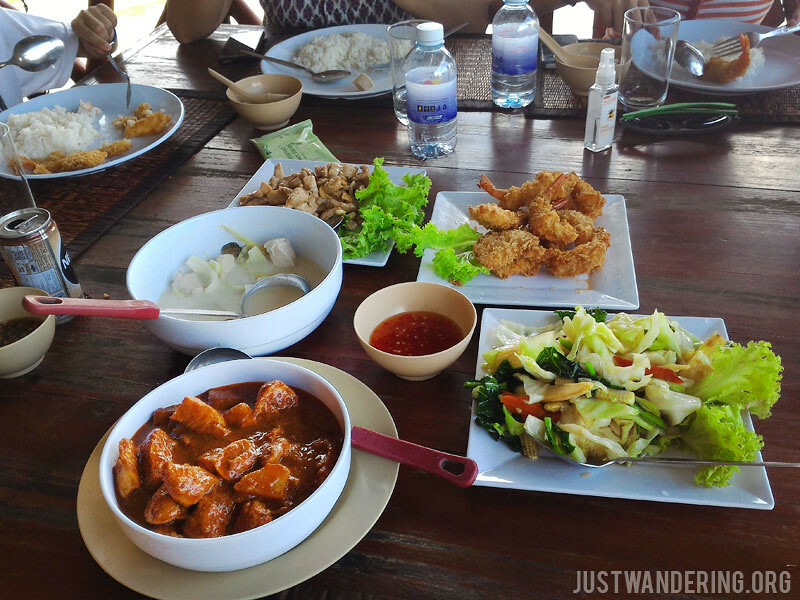 As a popular tourist destination, eating out in Phuket can get very expensive. 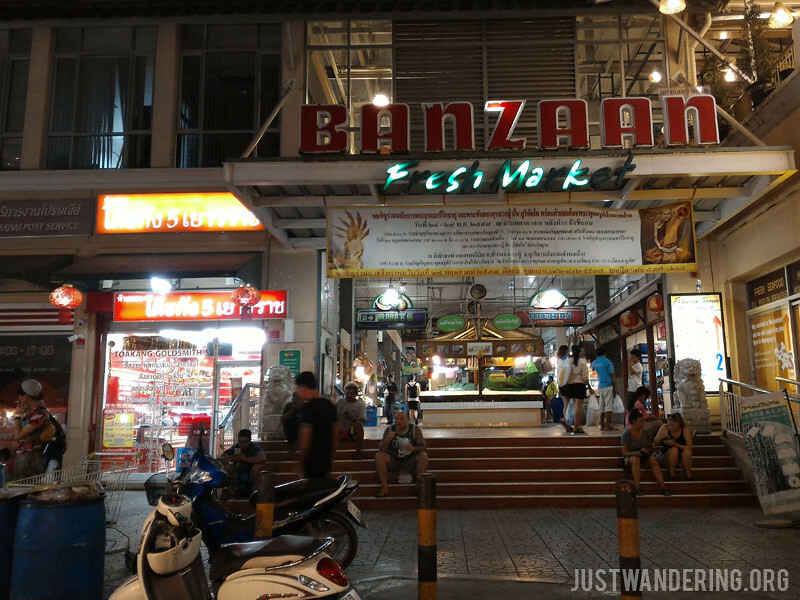 If you want to try some local cuisine without breaking the bank, head to the Banzaan Fresh Market. It’s a wet market on the first floor, and you can buy fresh seafood, meat, poultry, fruits, and vegetables. Head up to the second floor food court and pick a stall that can cook your goodies. They will ask you how you want them cooked, or you can ask them for suggestions. They will give you a price for your order, and you will be given a slip with the amount that you need to pay at the counter. Since transport is a bit of an issue in Phuket, many restaurants offer free pick up and drop off for customers. They usually give their numbers in advertisements, but you can ask the concierge in your hotel to contact them for you. I did this on my last day in Phuket. My brother and his family has already left for Singapore, so I was on my own. I wanted to head out Angsana for lunch, but was too lazy to walk, so I asked the concierge for their restaurant recommendations. 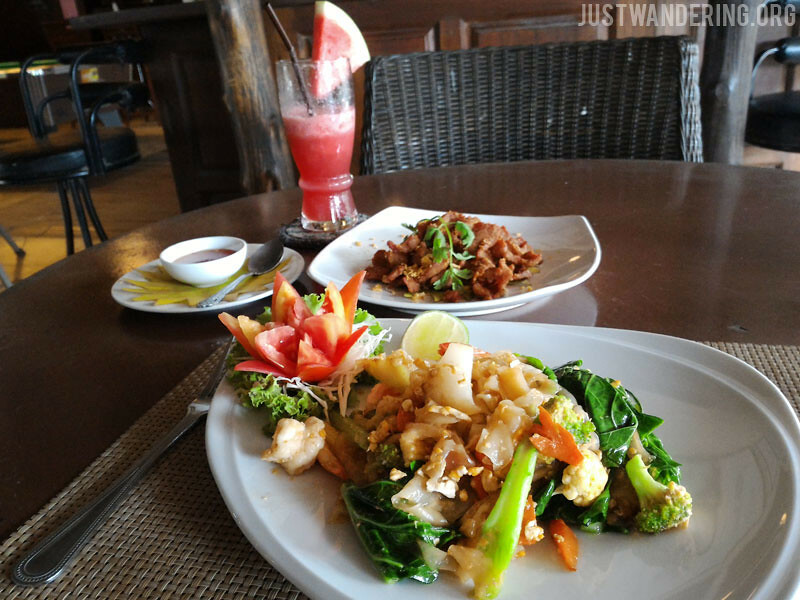 They recommended Tawai, a restaurant that offers cooking lessons, located in Bang Tao, just outside of the Laguna Complex. A Toyota Fortuner came to pick me up and dropped me at the restaurant. I had my lunch, and after paying the bill, the same car drove me back to the resort. If you’re traveling solo or with a friend, it’s more economical to join a tour group. However, if there are four or more in your group, consider taking a private tour. 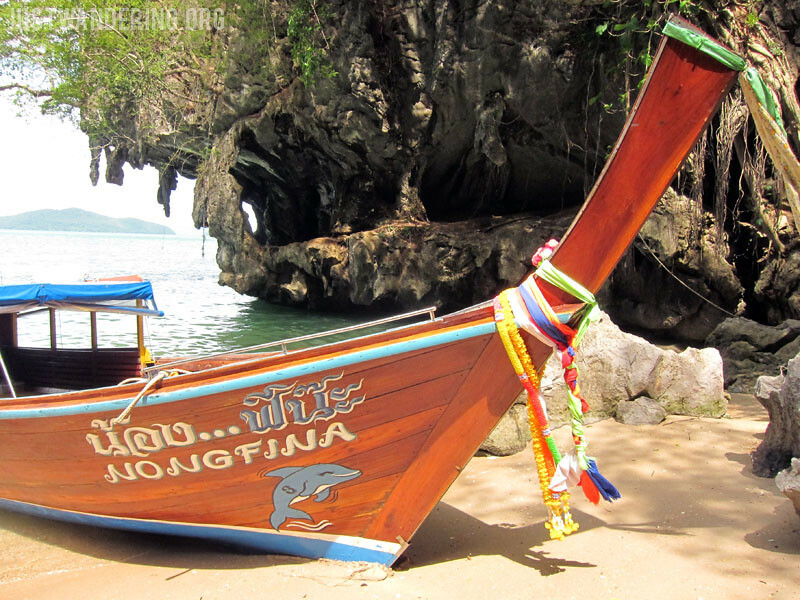 Captain Mark operates the Phuket Sail Tours, and also offer alternative tours using the local long tail boats or a speedboat. We went for the alternative tour of Phan Nga Bay. The beauty of the private tour is that we can move at our own pace, and not have to think about whether we are inconveniencing other people nor get pissed if we got stuck with an annoying person in the tour group. 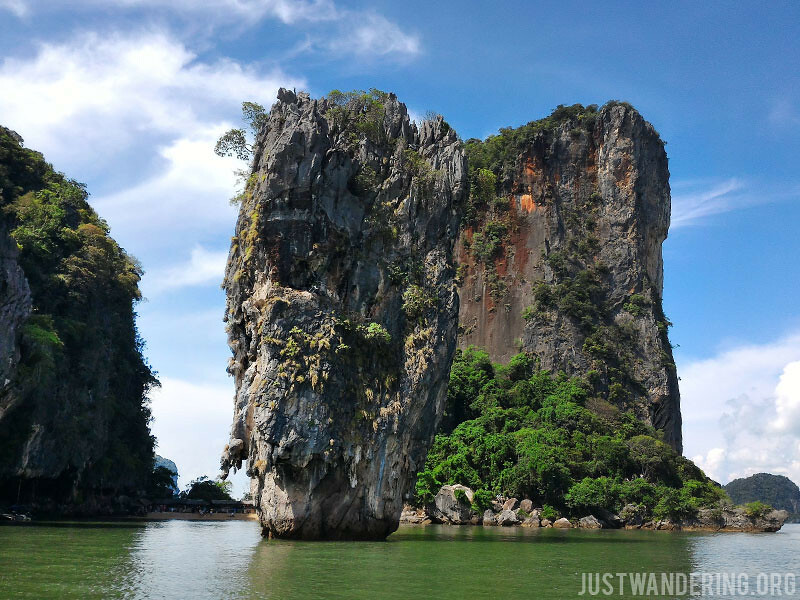 The tour is also the complete package: transportation is provided that took us to Ao Po and back to Angsana, snacks and drinks were provided in the boat, lunch is also pre-arranged, and they even had dry bags for us to use. Our last stop in the tour was to a small beach. We arrived just as another group was leaving, so we had the beach to ourselves. 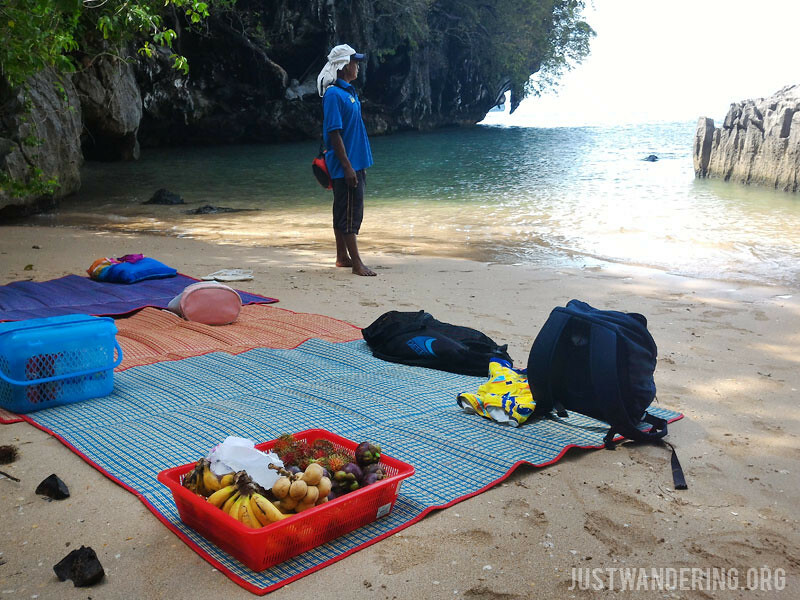 They had picnic mats on the sand for those who prefer to laze about, instead of taking a dip. The snacks served were fresh fruits and chicken skewers. Our lunch was very filling and really yummy. Drinks are also plentiful, and there was a selection of sodas, canned coffee, and cold water. The private tour is priced for six passengers. If there are six of you in the group, the cost per person is comparable to the price you would pay if you are joining a group tour. 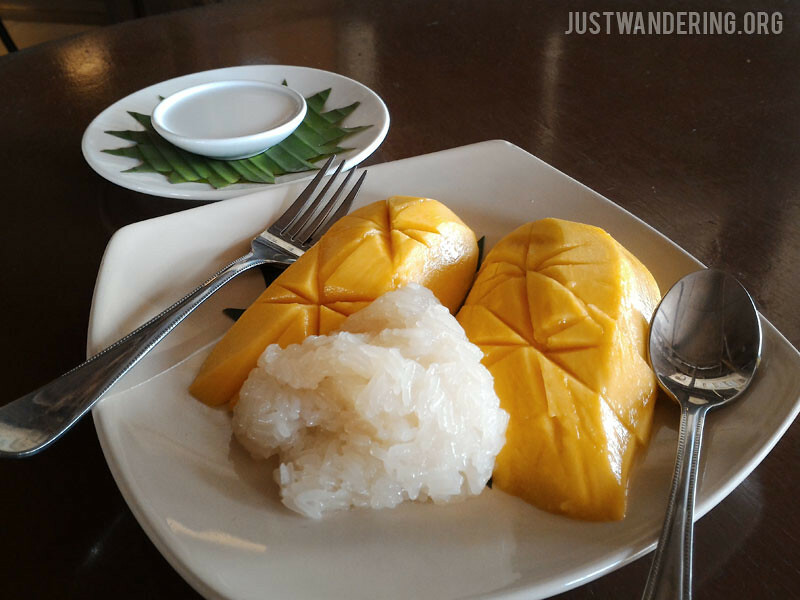 Since my flight leaves in the evening, I had to research about places to eat at the Phuket Airport. 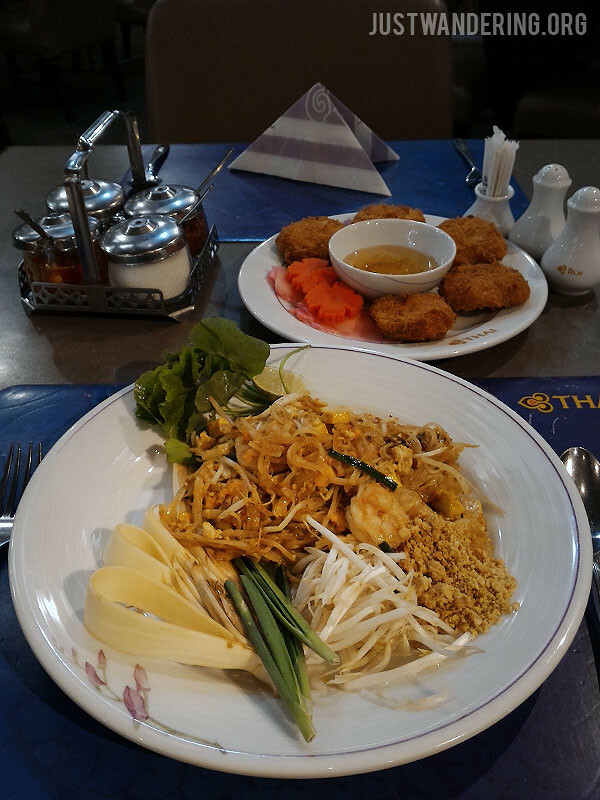 The popular choice was the Thai Airways Restaurant on the second floor of the airport. Lucky for me, I was dropped off at the domestic terminal, so I only had a short walk to the escalator. It is nondescript, and frankly, doesn’t look too promising, but the food is good, serving size is good, and price is not too bad. Those are my tips for Phuket. For those who’ve been there several times, what advice can you give to first time visitors? 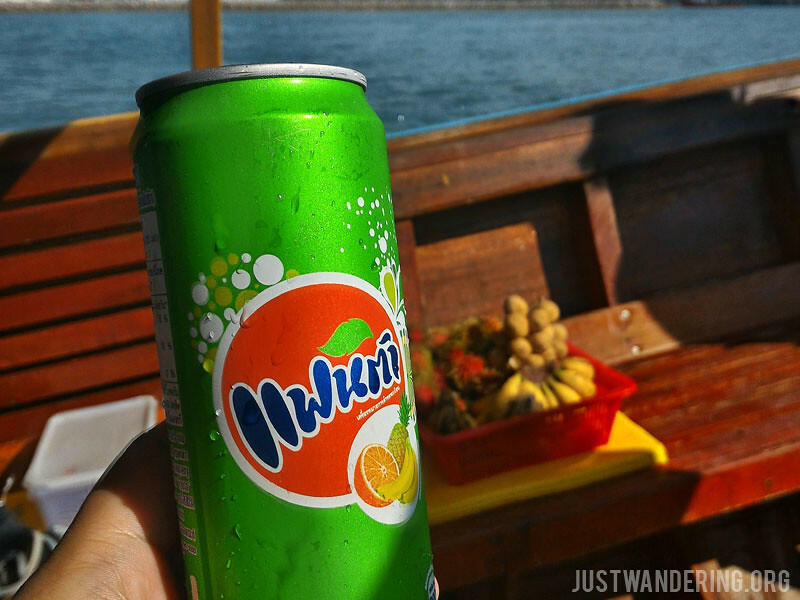 I really enjoyed your trip to Phuket. 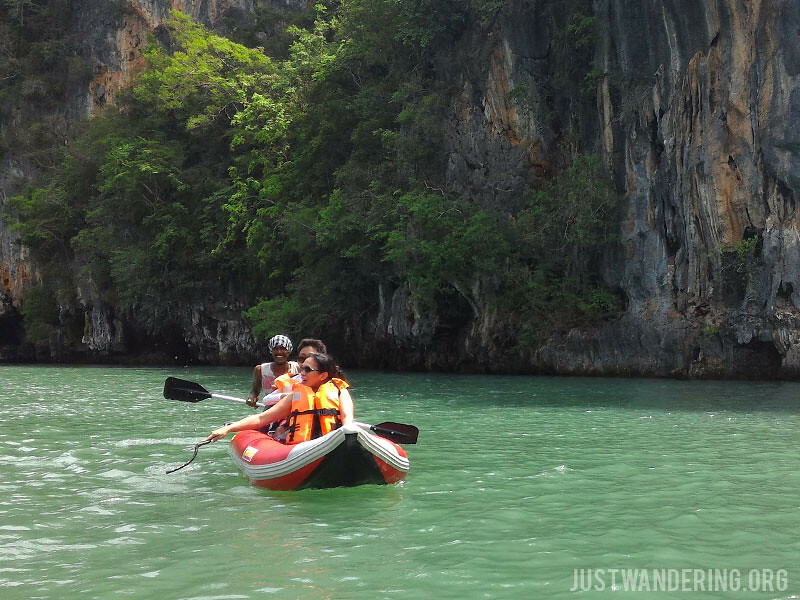 Just by seeing your great shots of the places you’ve gone to, Phuket is really a must-to-go destination. Thanks!